Dr. Michelle Copeland is now offering CoolSculpting treatments to help reduce fat, especially in stubborn areas like love handles, fat under the chin and upper arms. The CoolSculpting fat-freezing procedure is the only FDA-cleared,* non-surgical fat-reduction treatment that uses controlled cooling to eliminate stubborn fat that resists all efforts through diet and exercise. The CoolSculpting procedure safely delivers precisely controlled cooling to gently and effectively target the fat cells underneath the skin. Treated fat cells are crystallized (frozen), then die. Over time, your body naturally processes the fat and eliminates these dead cells, leaving a more sculpted you. What is the advantage of CoolSculpting with Dr. Copeland? After thorough research, Dr. Copeland has developed a treatment plan to maximize the effectiveness of CoolSculpt technology. Dr. Copeland uses a combination of non-surgical fat reducing techniques to enhance the CoolSculpting treatments. New Dualsculpting technology allows multiple areas to be treated at once, making treatment more effective and efficient. Most patients experience little to no discomfort or downtime and are able to resume normal daily activities immediately, including running and working out. Patients report improvement in two weeks with continued progress during the next two to four months, though multiple treatments may be necessary to achieve an optimal outcome. Please call 212-452-2200 today to set up a CoolSculpting consultation with Dr. Copeland to discuss the best treatment plan for your needs, and you can be on your way to a slimmer shape, with no downtime. *Results may vary and specific results are not guaranteed! 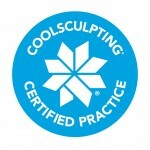 CoolSculpting Cancellation Policy: 24 hours notice required or appointments will be forfeited. Packages will be considered fulfilled unless otherwise specified. *Free consultation if CoolSculpting package is purchased. Consultation limited to CoolSculpting.